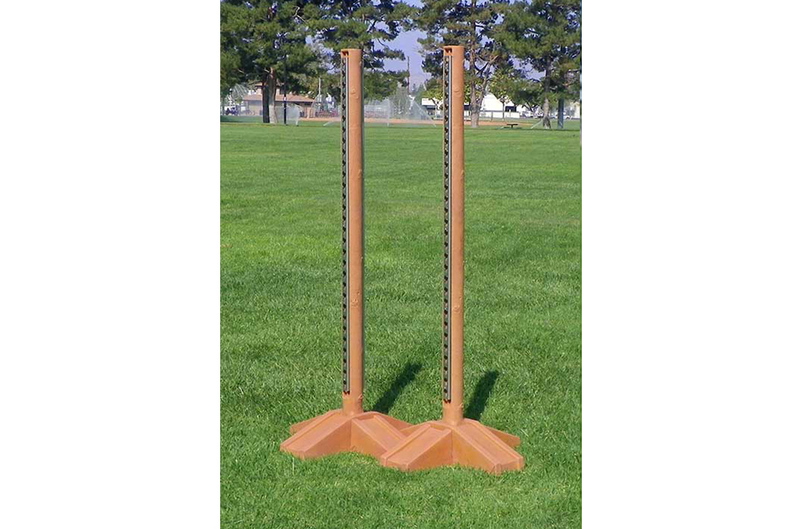 The 6ft Nature’s Post Standards are great imitations of natural cut wood. 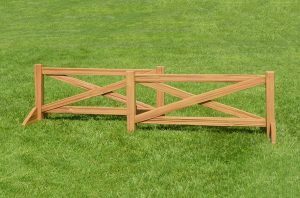 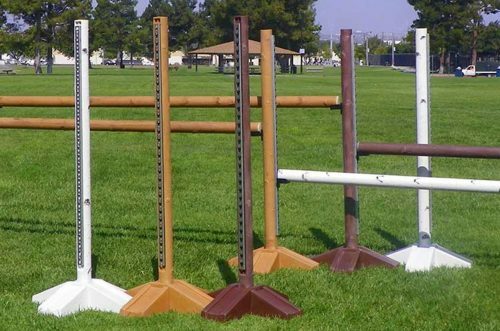 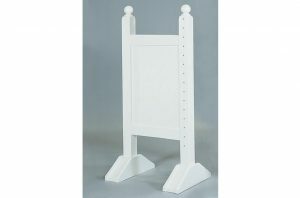 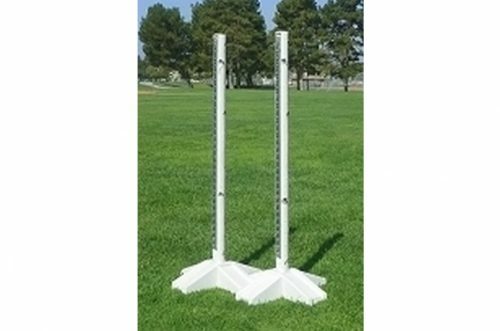 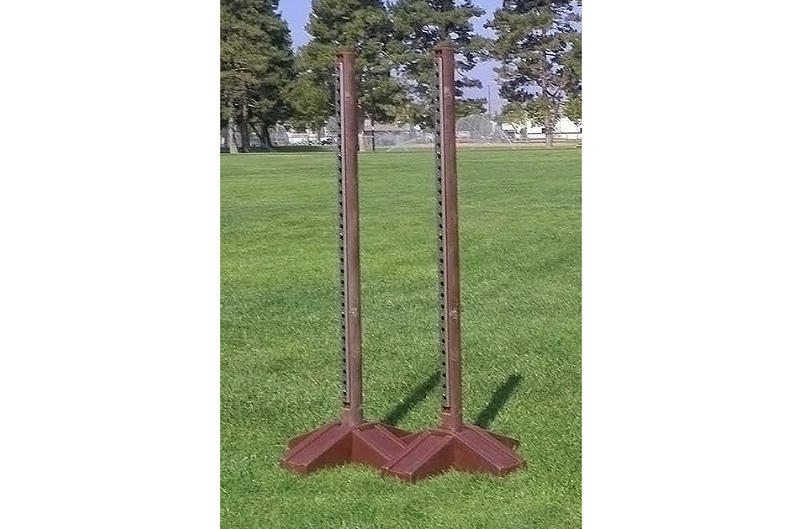 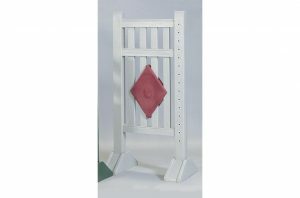 Standing at 6′ tall, they are great for Hunter Derby or Eventing courses, and match the Birch, Cedar, and Log jumps. Standards come standard with the metal keyhole track for pinless jump cups. 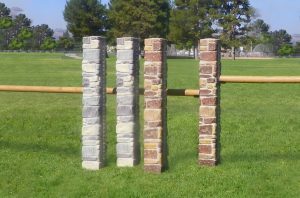 You can add another metal track to the opposite side of each standard, making them perfect for an option obstacle. 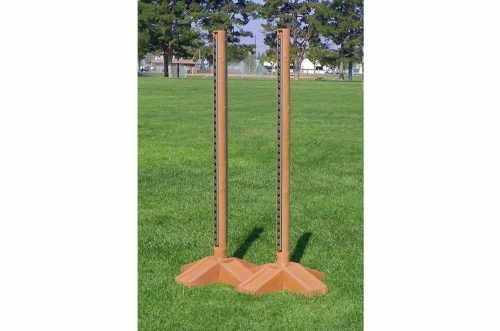 6′ Tall, jumps 1’3″ to 5’9″, 19 LBS ea.